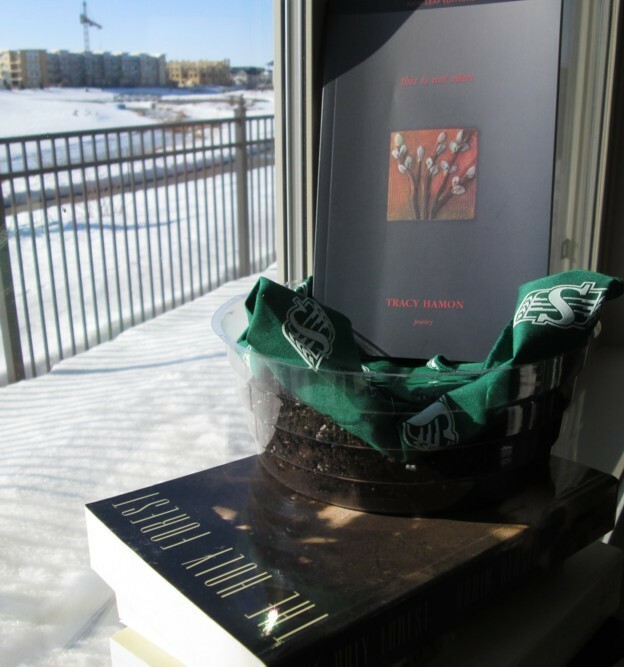 Tracy Hamon lives in Regina, Saskatchewan and is the author of two poetry collections, including This Is Not Eden, a finalist for two Saskatchewan Book Awards, and Interruptions in Glass, shortlisted for two SBA book awards in 2010. Most recently she was longlisted for the CBC Poetry Award. However, this says very little about Hamon being a driving force behind many arts events in Regina and also in everyone’s favourite province, including her kickstarting the exceptional Vertigo Reading Series (now produced and hosted by Tara Dawn Solheim) and through her many efforts for the Saskatchewan Writers’ Guild. Happily, I was treated to a thrilling preview of Hamon’s next title with Thistledown Press, Red Curls, an exphrastic exploration of the historical figures of Austrian expressionist painter Egon Schiele and his mistress Valerie Neuzil. Crafting lyrical form along with prose poems, Hamon brings vivid life to three dramatic monologues featuring Schiele, Neuzil and a poetic voice that translates ethical and aesthetic concerns into the present. tiny electric shocks; heartbeat as spatial. those who have nothing left to lose pull away. Prayer is lost art. Forgotten solicitude. Simple need; centre yourself to the moment. you inside out and sets your solitude free. You learn space; form existing as separate. Ellipses fit to their own. They hold nothing.